Want to become a CNA in Houston? CNA jobs are projected to grow 11% by 2026, and Houston has a high level of employment with 19,000 registered nurse aids. Houston is ranked top 2% for CNA wages, which average at $19/hour, but the top 10% of the nation’s nurse aids earn $50,000. What are the CNA requirements in Houston? Here’s how to prepare for your CNA state exam and how to become a Certified Nurse Assistant in Houston. To start a CNA training program, you need to be at least 16 years old, have a high school diploma or the equivalent, pass a criminal background check, and have up-to-date immunization records. Next, you will need to find accredited CNA classes in Houston and successfully graduate from the nursing assistant program. You must then pass the required state exam and register online on the Texas Nurse Registry in order to qualify for a CNA job in Houston. If you can’t find a fully-funded CNA program, you can also opt for a partially-funded program such as the Certified Nurse Assistant Training Program with Goodwill Houston. The 11-week training program provides low-cost CNA classes for low-income students who just pay a nominal eligibility fee and must pass a nurse entrance interview. After graduation, the career counselors also help students find CNA jobs in Houston for the next 5 years. You must be 18 years old, have no criminal background, and pass a reading and math assessment. 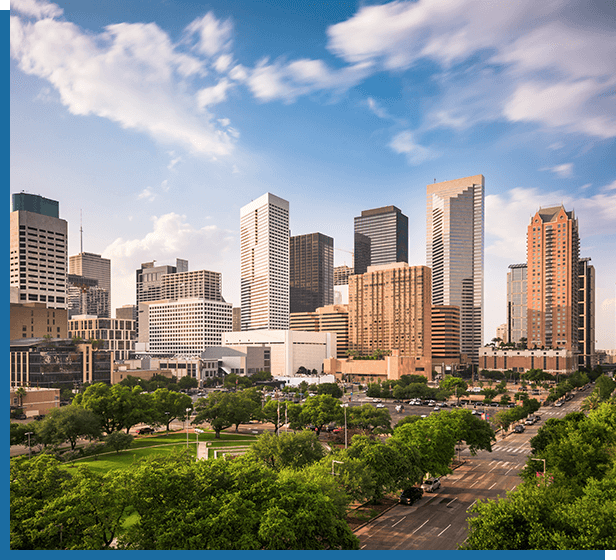 Before you start your training, search for CNA jobs in Houston to connect with possible employers. Speak with the Human Resources department and ask if they reimburse for training or if they have partnerships with specific CNA schools in Houston. They may even pay for your state exam fees or provide on-the-job training. Nearly half of all CNAs are employed at nursing facilities, followed by 30% at hospitals and 13% at assisted living facilities, according to the Bureau of Labor Statistics. In addition to providing training, Job Corps helps students with daily living expenses such as residential housing, food service, health and dental care, a bi-weekly basic living allowance, and a clothing allowance. Students can move to the Jobs Corps center where they live, train, and study in their chosen career field. When you graduate, there are careers advisors and counselors who will help you write your resume, plan your career, continue your training on-the-job, and find CNA jobs in Houston. I signed up for the 4 week CNA course at Smithwood Medical Institute over the summer. I'm a nursing student at a University so I figured I could work as a CNA part time while going for my bachelor's. You can enroll at any age, it's never too late to advance your education/ start over/ try something new.. Age is just a number, so don't be consider about your age, gender, education level. Anybody can do it! It may be small, class capacity is 10-12, but you truly bond was the instructors and students. They truly want you to succeed and move forward with your life. Please take advantage and consider enrolling... I wish you the best in all your future endeavors! - Sandy T.
Completed by 3 weeks course in March worked in home health for 2 weeks before taking my state exam. Just passed my state test licensed as a CNA. Thank you CNA school Sugarland. Keep up the good job. - Beth R.
I'm currently taking the EKG course with Joey; he has to be one of the best teachers I've ever had. I've learned so much in 5 weeks; it's fast paced and complicated but he makes it easy and fun to learn. - Nathaly C.
Great School with excellent staffs and conducive learning environment, CNA exam was successful and now working. Thanks Alpha medical Institute.coming soon for CNA program. - Rita E.
I was determined to graduate from this school because when I compare this school to others this was the best choice. I dropped out of Everest because the teachers there aren't made to care at all about the success of their students at all. I only formed a strong friendship with 3 of my teachers and I was so happy that they took out extra time to quiz me to help me study for my certification exam. Although it was more expensive I don't regret it because this was very easy to work with my work schedule and close to my residence when it was on the North side. Some employers refuse to even accept my application when they find out I got my C.M.A there. And their are some jobs that are actually impressed with the school and gave me a much better paying salary because of this school so I don't regret all that I've learned. - Betty T.
Great school and Staff. They are very knowledgeable. They work really hard at helping the students. They even offer an evening classes. I would have to say this is one of the best schools and program out there for nursing. If you want to make a change in careers, this is the place. They also have small classes and a lot of one on one time. - Justine B.